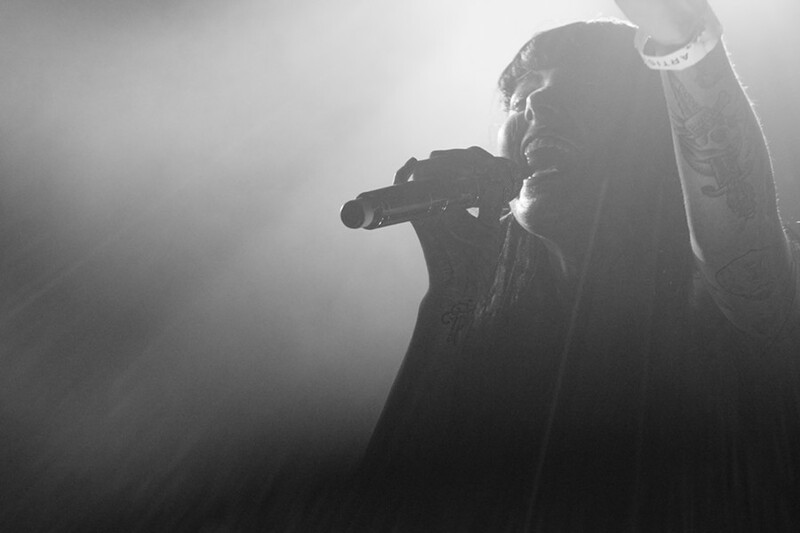 Sleigh Bells front woman Alexis Krauss sings from atop the crowd duing a March 14 show at the Empire Control Room in Austin, Texas at South by Southwest. Last night was a party for the record books as we hit up Empire Control Room in Austin to check out the evenings lineup, which mostly consisted of bands with “wild women” front singers. The lineup included Mothers from Athens, Georgia; Hurray for the Riff Raff out of the Bronx; Julie Byrne from New York City; Girlpool out of Los Angeles and headliners Sleigh Bells from Brooklyn. The only band not to feature a female vocalist was Real Estate from Ridgewood, New Jersey. Sleigh Bells stuck out like a sore thumb amongst the rest of the lineup, dishing out their ferocious noise pop to the sweaty pit. “It’s like being blinded by garage rock aliens,” said one fan before the show who had the foresight to wear a pair of sunglasses for the 1 a.m. show. I don’t know what garage rock is, but it seems an apt description of the band’s brutal shock rock sounds. The band has certainly come into maturity since their 2008 founding. Four albums later and the hits off their debut, “Treats,” are still crowd favorites. Their mix of harsh guitar effects and electronic components were even more unforgiving coming from the massive speakers at the live show. Alexis Krauss of Sleigh Bells during a show at Empire Control Room in Austin, Texas on March 14 during South by Southwest. But the speakers were only partly responsible for the immense amount of energy transferred to the crowd. Alexis Krauss on the lead vocals commanded a mastery of the live show, her melodic voice a stark contrast to the abrupt beats—a combination that gives the band its signature sound. The pit fed off her energy like hyenas in the savannah devouring a lioness as she jumped from stage supports to railings and surfed atop the crowd. If you’ve never listened to Sleigh Bells before, there’s a small chance that you’ll actually enjoy it your first time, but that’s part of nearly every fan’s obsession with band. The sentiment was echoed before the show as we spoke with Julia Cunningham and Jenny Eliscu, hosts on SiriusXM’s XMU channel. They confirmed that yes, the people who pick the music for radio (not the hosts) actually do try to play songs so many times that you can’t help but crave them after a while. get pumped up and one of their earworms burrows into your brain, and headbanging is its only way out.